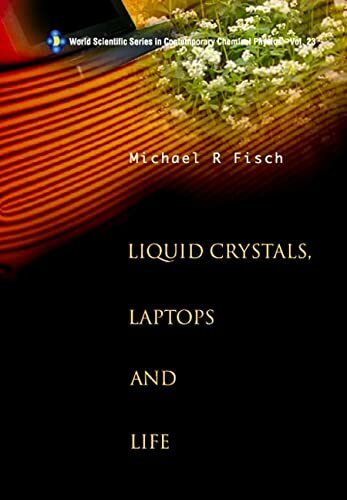 [PDF] Liquid Crystals, Laptops And Life (World Scientific Series in Contemporary Chemical Physics) | Free eBooks Download - EBOOKEE! Posted on 2017-04-10, by luongquocchinh. Description: Liquid Crystals, Laptops and Life connects the laptop computer with life itself via liquid crystals, the phases of matter essential to both. In the process it provides an integrated introduction to those parts of chemistry and physics that are necessary for understanding the basic science and technology embedded in the laptop and in life. This book can be understood by students with a good background in high school chemistry and physics yet it can also serve as a primer for scientists who are not well versed in the areas covered. The first section of the book is devoted to discussion of basic concepts of chemistry and physics. The second section applies these concepts and extends them to three classes of materials that make the laptop possible: liquid crystals, polymers, and semiconductors. The first two classes of materials relate naturally to the molecules essential to life, thus providing an introduction to this area in an independent chapter. The third section focuses on the applied science and technology of semiconductors, digital devices, and computers, as well as liquid crystal displays. This section concludes by illustrating how these materials and technologies are combined in and make possible the laptop computer. The final section discusses applications of liquid crystals to the arts and to life. Each chapter rounds off with references to more advanced literature, exercises that test the reader's understanding, and open-ended questions that encourage the reader to explore the topics in greater depth. No comments for "[PDF] Liquid Crystals, Laptops And Life (World Scientific Series in Contemporary Chemical Physics)".